So Google Stadia is official, and Mountain View is ready to sell us on a dream: that of zero-latency, HQ game streaming available on tap for any device with a Chrome browser and seamlessly integrated into social media. It even works (ahem) under the demo conditions. What we don't yet know is how much it costs. What we ask today, however, is how much should it cost? For the purpose of argument, let's assume that Google Stadia just works. Internet speed, latency and visual quality isn't an issue. Is the product good enough to stand up on its own merits? Let's also presume a Netflix-style subscription service (the most likely price model) rather than a Steam-like storefront. And thirdly in this rather generous scenario, Stadia is offering a wide library of games you actually want. On the one hand, you would be able to immediately access a game you see on YouTube, play it, share it with your friends and seamless move it between devices, be it a smartphone, tablet, TV or potato laptop, without worrying about hardware investment. You could try out games early and find out if they're good without committing $60 a pop to pre-orders or hundreds of dollars for next-gen hardware. On the other hand, there are some glaring disadvantages to the model even if it works well. You don't own the games yourself, they could be pulled by Google at any moment, and can't be modded, played offline or saved for posterity. Not ideal, but if the price is right, it could well work for many. Writing about how Stadia could compete in the gaming market, I guessed about $15-$20 for a subscription service to take on rivals like PlayStation Now, Xbox Game Pass, and Shadow. But Google might go even cheaper than that. After all, the company makes its money from our data by offering a suite of free online services like Google Photos, Gmail, Google Docs and so on. It's Google Home range of smart speakers are very aggressively priced, and Mountain View may similar try to undercut the entrenched gaming giants as much as possible. How much would you pay per month for a Google Stadia subscription? Are there any regular gamers ready to ditch their prized hardware? Anyone who'd like to game more but would prefer an on-demand streaming model to the traditional market? I would not pay a dime for it. I already pay for Xbox Gold, and they give away games and it unlocks party- something I have to pay for. If I had to pay Google a subscription too, I might as well drop my Xbox subscription, unless it costs more than Gold does. I'd pay a nice £9.99 a month for this. It's what I'm paying for Xbox game pass. anymore than that and they can keep it. Or add an extra £5 to my YT premium and I'm in! Why Do people think they still literally own all their games? This is not a valid point and its discouraging people in a misleading way. Our biggest games today can already be taken from us at will and has already happened even with physical media Discs.. If your ever owned "MAG" on PS3 perfect example.. if epic decides to shut down Fortnight you lose a game and all your purchased items... If Destiny shuts down same thing.. I could go on and on.. this kind of talk and thinking is what killed Microsoft's original vision for what the Xbox one could have been.. let them make the mistakes first before we judge and criticize.. our best selling and most popular games are online only yet people still talk about how not everyone has great internet service.. if your buying an Xbox One X or PS4 Pro in 2019 to play offline games because you don't have a good internet connection you definitely have your priorities all wrong. I want to know more about Google Stadia. What is the history of Game streaming services and how successful are they? What are the benefits and what are the drawbacks? 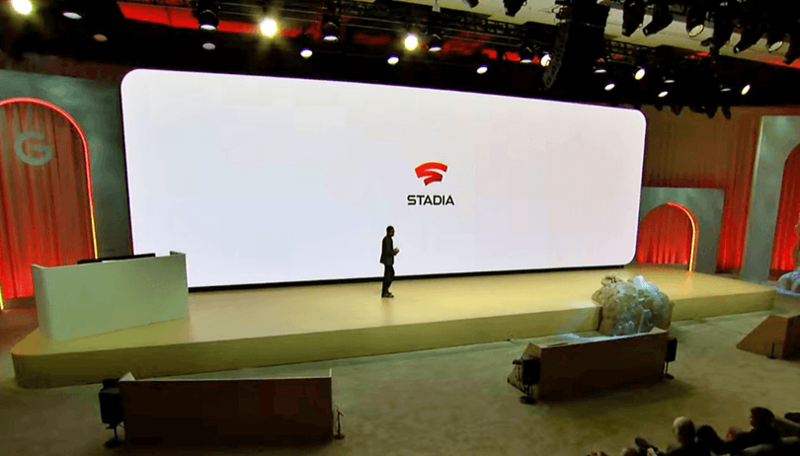 When will Google Stadia launch and in which countries? And many more questions. I'd pay 10 to 15 dollars, provided Google doesn't show advertisements. It does nothing i want in my games.